Discussion in 'Project CARS 2' started by GTPNewsWire, Jan 16, 2019. 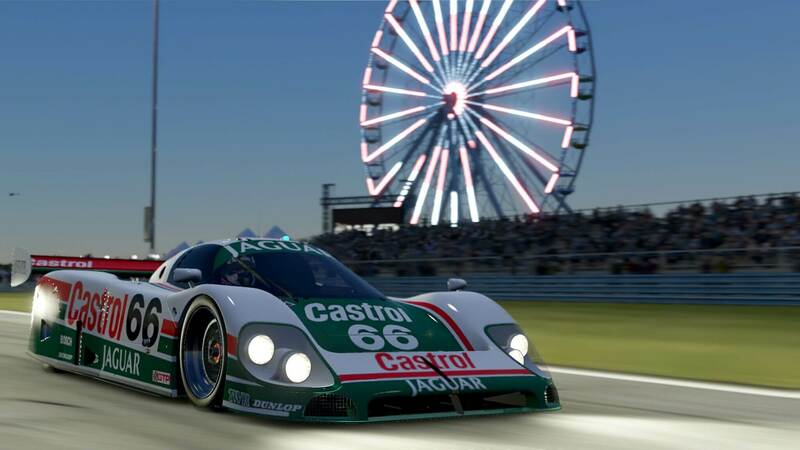 This article was published by Jimmy Broadbent (@Jimmy B) on January 16th, 2019 in the Project CARS 2 category. TheHun99, John Wells, FoRiZon and 10 others like this. And it’s available right out of the box. For free! And, the Vintage LeMans pack is amazing. Some games just hint at the classic tracks and cars, PC2 actually has them. Watching the movie ‘Le Mans’ right now! TheHun99, John Wells, ykiki and 3 others like this. That was fun! I could have sworn I was subbed to his channel before. Apparently not, so I fixed that. Was just watching the video before coming here. Great stuff as usual Jimmy, love it! If it's so good, why don't you ever play PCARS 2 in your streams then? Instead of boring 3+ hour streams of F1 2018, where nothing happens, and if it does, and you lose out, you restart the race each time lol. Please do some PCARS 2 streams!!! Because he believes only some cars in PC2 are done correctly. But I think it's more of a personal preference to certain category of race cars that meet his expectations to how they should feel, IMO. Great video btw, also saw he was given an opportunity to drive a McClaren 570s GT4 at the Top Gear test track in one of his latest videos. Lucky dude, but well earned. Because he has feared for a whole year since release that the so called" sim drivers" might laugh at him for, first playing pc2, and second finally at elast implying it is currently the best sim in the market right after rfactor2. He's also trying to cater as much audience as possible for the incoming Daytona event as he made that pretty clear too. Don't doubt it for a second. Glad to see you no longer give a damn about the sim community Jimm, and finally trust your own judgement. You knew from the beginning they can not be taken seriously anymore since pc2 came out and bang'd its fist on the table. Kunos is doing pretty well with acc too tyre physics wise. However, they still carry so much wrong stuf from old ac1 when it comes to the tyres, lack of speed and terrible power understeer. Still, their struggle to get as far as possible from their first game physics wise can be noticed, which leads to a much more compelling and realistic gt3 driving experience. If it's so good, why don't you ever play PCARS 2 in your streams then? Nothing to do with 'fearing' the rest of the community, different people love/hate different games so I'm screwed whatever I play. I have actually streamed it a couple of times in the past and it turned out to be a disaster. I never implied it's the best sim on the market (watch the video, or read the article if you want confirmation of that) and i'm not sure why it has to be an absolute "it's the best" or "it's the worst" To me, what pCars2 does is put you the seat of a virtual racing car and makes you believe you're there...if only for a few minutes anyway. Deadheadbill, Friday_GTRP, TheHun99 and 12 others like this. Did you try also GTS VR ? @Jimmy B - Your passion for sim racing is undeniable, & quite infectious to boot! However, I have to take exception to what you said about Daytona Road, that "It’s fair to say that the Daytona road course isn’t the most inspiring layout in the world...". I think that to be most unfair. It's one of my favourite tracks in the world, & I had some of the most awesome racing online at Daytona Road in GT5 & GT6 back in the day. I guess you were just trying to express your opinion, as am I. All the best sunshine. He states that some tracks are so inaccurate that they don't really represent the venue they are trying to simulate. Fair statement or an exaggeration? @Jimmy B I watched so much of your content in the last months it's insane. You've inspired me not only to get a g29 and start racing, but also to get together some friends and start a small online racing league in Argentina. I'm also thinking about starting a stream in spanish dedicated to sim racing. The most important thing, I decided to get my first car ( a bmw 120i). Whenever you get hate for something, remember that you are an inspiration to a lot of people and that what you do has a direct positive impact on other people lives. TheHun99, Brzlav, BeetesJuice and 2 others like this. Mechanical failures rock. I never had to worry about keeping the engine from staying too high in revs; to protect my radiator from overheating. Or breaking late too often to shave time, only to boil my brake fluid mid race. I never even had to worry about racing on a team, relying on and trying to protect the other driver. I never researched tracks before pc2. (mind you I'm on my 3 racing wheel)Literally the only thing they are missing are post race cut scenes and podium animations. Hey! I´m from Argentina too. I also play Gt Sport and Assetto. Would like to join your online racing league!! To be fair, Sonoma's rubbish and Bell has agreed on that. Personally I had so much fun with PC2, more than any other game. Gran Turismo physics and sensations seem so childish in front of it. some cars started feeling like I am driving a boat or something similar. Totally agree... Did you have the chance to drive on Assetto Corsa? It has best physics ever played. Thanks for answering. I know but I still like the graphics and immersion of PC2. I had so much fun! potvinsuks and speedy10 like this. Have you tried switching over to the immersive option? There are a few people who have now switched from RAW onto immersive. It seems to work well with the more powerful wheels. Some cars are ok, some other ones seem to have no FFB at all, some other ones have that boat effect. And the worst thing, we probably won't get any support and patches anymore. Such a shame. I am on pCARS 2 every day for hours and have never experienced any boating effect you guys are talking about nor have ever heard of it. Sometimes, the cars won't feel right but, that's usually due to re-starting a race and losing all of the rubber on track. brocp, fernandito and Scaff like this. Hello there, after this article I felt like putting together a PC for playing this game on VR. But I'm a console person therefore I have no clue what I'd need to buy in terms of specs to run this game decently in vr mode. I'm thinking to take the AMD route as their CPU and GPU are cheaper and has bigger compatibility changes with future upgrades. What GPU and CPU do I need to play in vr and which PC headset is the best for racing? On psvr I always struggle with tracking, so if the PC has better offerings, please enlighten me. Great stuff Jimmy. I have had Project CARS 2 since the release date and it is great fun, particularly in VR. Project CARS 2 in VR is power hungry and so I would recommend at least an i5 8600k CPU and Nvidia 2070 or preferably a 2080 GPU. These are for sure expensive components, but they will give you an excellent experience in VR in Project CARS 2. Yeah, it's just an opinion. I happen to agree with him. Each to their own. For room scale VR the majority of people probably would suggest that Hive has the edge, for sitting in a chair however it won't make much difference whether you choose Hive or Rift. As for other hardware 1070/2070 is about as low as I'd recommend if you want a really good VR experience in the most demanding games like PC2. For CPU - Ryzen is the best bang for buck at the moment so I'd be looking there. ...its what I use for my T300 but it may well help point you in the right direction. also keep in mind that with Immersive you needs to do two or three laps before it will settle down, as it calibrates itself during the initial laps (you only need to do this once). potvinsuks, speedy10 and Mr Grumpy like this.